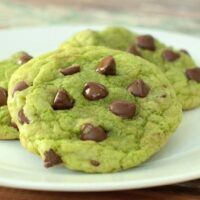 Just in time for St. Patrick’s Day, these chewy Mint Chocolate Chip Cookies are a twist on my original chocolate chip cookie with a fresh minty taste! You’re going to love them! I don’t believe in Leprechauns. There are enough Easter bunnies, tooth fairies and Santa’s to worry about. I’m not even Irish. Well, okay I might be like a 1/16 Irish, but that doesn’t count. I do, however, believe that chocolate chip cookies are good idea all the time. Especially when they’re this delicious and so simple to make! For these cookies, I took my Perfect Chocolate Chip Cookies recipe and tweaked it just enough to make something new and even tastier. 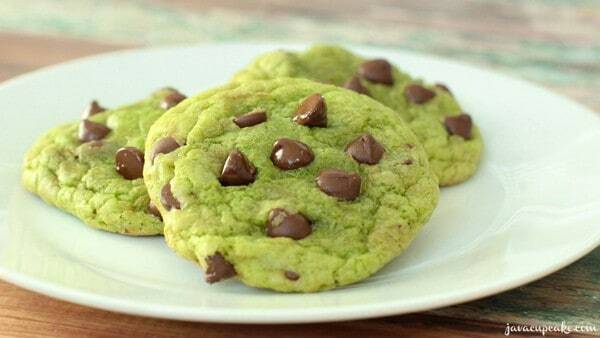 I switched up the sugar ratios, used semi-sweet chocolate chips, mint extract and of course, added green food coloring! 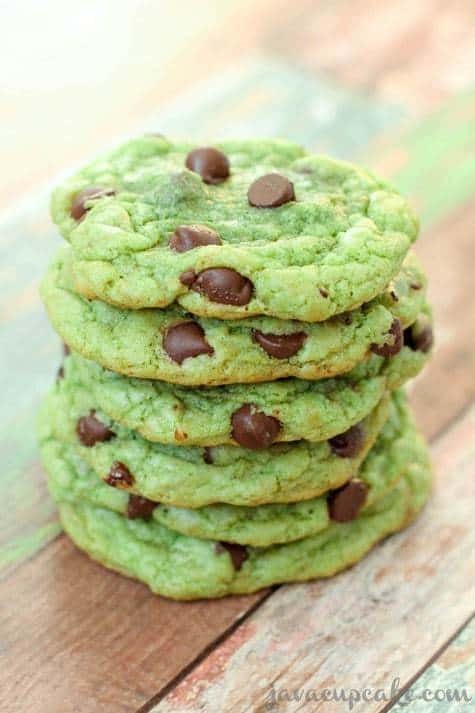 So, if you’re like me and you don’t want to jump on the St. Patrick’s Day bandwagon but still want a delish treat for the holiday… make these Mint Chocolate Chip Cookies! In a medium bowl, whisk together the sugars until no more clumps remain. Add the melted butter and continue whisking until smooth. Add the eggs, mint extract and green gel coloring and whisk until incorporated. Add the chocolate chips and fold together. Cover with plastic wrap and freeze for 1-2 hours or until firm. When you’re ready to bake, preheat oven to 325 F degrees and line cookie sheets with parchment paper. 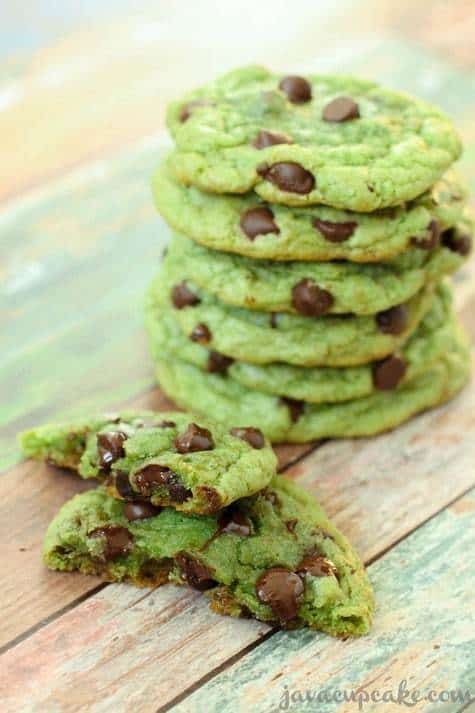 I’m not a big St. Patrick’s Day person either (I am Irish but feel pretty meh about it–plus I don’t drink) but these cookies look perfectly gooey and minty and delicious! These sound really good. I love mint!